BRIGHTON, Mich - We know that feeling all too well. You're driving on the road, you see one of the tiny lights on your dash light up or you hear that not-so-comforting noise that you know just isn't right. That feeling of inconvenience and another thing to add on the do to list. We know car maintenance isn't usually one of your favorite things, but ignoring even the slightest issue with your vehicle can cost you much more than time in the long run. Avoid doing ten of the worst things you could do to your car to save yourself time, money, and stress in the long run! 1. Continuously postponing scheduled or recommended vehicle maintenance. 2. Ignore the check engine light. Avoiding this or any other of the vehicle warning lights can lead to a variety of issues for your vehicle. 3. Not changing your oil on time, or at all. Disregarding oil changes is the single more damaging vehicle maintenance item that drivers neglect. 4. Failing to check tire pressure, more importantly as the temperatures begin to change. 5. Overlooking transmission, brake, coolant, or other fluid services. 6. Driving your vehicle when it overheats. 7. Not changing air or fuel filters. 8. Allowing an unqualified person or service center perform services on your vehicle. 9. Saving money with aftermarket parts rather than OEM quality parts. 10. Attempting to service your vehicle on your own, instead of coming to the Brighton Ford Quick Lane, when you are unsure about what you are doing. Your owner's manual with contain all of the information you need in order to properly maintain your vehicle. Avoid car damages and issues now by remembering the ten of the worst things you could do to your car. 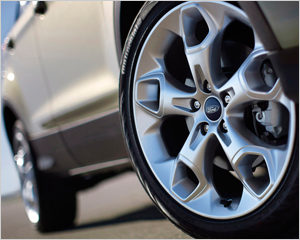 Brighton Ford is always here to help you with any of your vehicle needs. 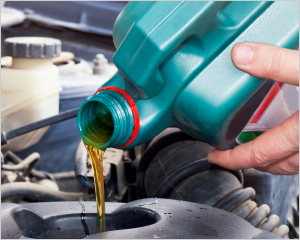 We offer a variety of vehicle services, including Oil Changes, tire rotations, and so much more.